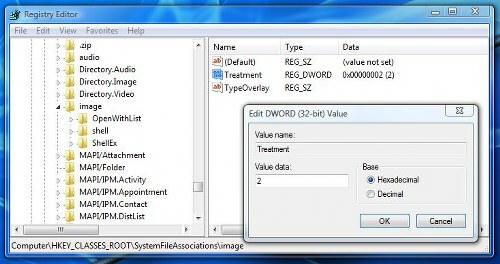 You can make the changes and apply them by making changes in the registry editor. 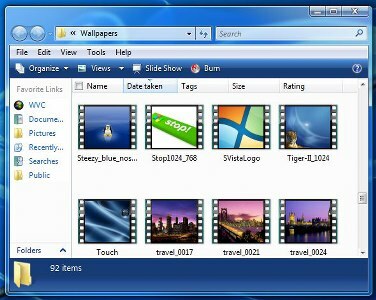 Here are the steps to change thumbnail border in Windows 7. You can tweak the registry to make them appear like a video film cutting along with the ‘sprocket-holed’ perforated borders. Type run on the start menu search bar. Type regedit in the run dialogue box. In the right panel, right click on the treatment. Change the hexadecimal value of this to 3, from its default 2. Open an explorer window where you store your images and ensure that the thumbnail view is selected. You will see the change. Changing the value to 0 or 1 instead does cause some minor changes to the thumbnail previews. This thumbnail preview border provides you the extra enhance for your better view. You can change thumbnail preview border at any time on the system.